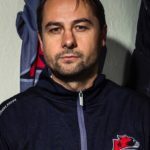 Murrayfield Racers turn their attentions to the Scottish National League play-offs on Sunday as they go head-to-head with Solway Stingrays (face-off 6.00pm). The winners of the quarter-final tie, which will be a one-off fixture due to ice time restrictions elsewhere, will qualify for the Final Four Weekend at Dundee Ice Arena on 30th/31st March. 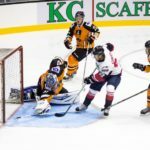 Murrayfield have faced Solway twice in the league this season, winning 15-2 on home ice and 18-0 on the road. 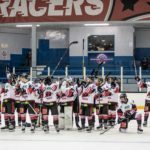 Another victory this weekend would take the Racers through to a semi-final tie against Dundee Comets next Saturday. 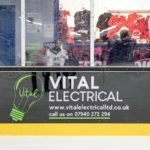 Kirkcaldy Kestrels and Paisley Pirates are in pole position to qualify for the second semi-final, with both holding healthy leads in their respective last eight matches. Having already clinched the SNL title, the Racers are aiming to complete a clean sweep of trophies this season. Tony Hand’s side have reached the final of both the Stuart Robertson Cup and Scottish Cup, and securing a spot at the Final Four Weekend would add another dimension to what promises to be an exciting end to the campaign. The club is hoping to run a coach to the first leg of the SRC Final at North Ayrshire Wild on Saturday, 20th April (face-off 6.30pm). The cost would be £20 per person (travel only). Please email tickets@mracers.com and if the club gets the required numbers it will be all systems go. An exact departure time would be confirmed in due course.